2015 started off very well for the Minicar segment, with a 19% growth recorded in Q1, but as the year went on got progressively worse and worse, culminating in the segment shrinking by 30% in Q4. The main reason for this is the falling price of gas that encourages people to buy larger, less fuel-efficient cars – a theme that we’ll see in many other segments as well. This trend is so strong in the US market right now that it drags down even the newest, most attractive cars (Mini Cooper), or ones that started the year as star performers (Mitsubishi Mirage). Despite a decline in sales in the final quarter (down 22% compared to Q4 2014), the Mini Cooper can definitely chalk up 2015 in the “win” column. Overall, sales of the original cool small car were up by 24% compared to 2014, allowing it to comfortably regain its spot at the top of the sales chart – one that it lost the year prior not only to the cheap-but-cheerful Chevrolet Spark, but also to its arch-rival, the Fiat 500. 2016 should be a good, if not great, year for the German-British export, as the Mk III model is still fresh, while the 5 door version keeps bringing in new customers. Those looking for a larger Mini for the whole family might also be lured by the upcoming Clubman, though whether that will sell in the US as a separate model remains to be seen. 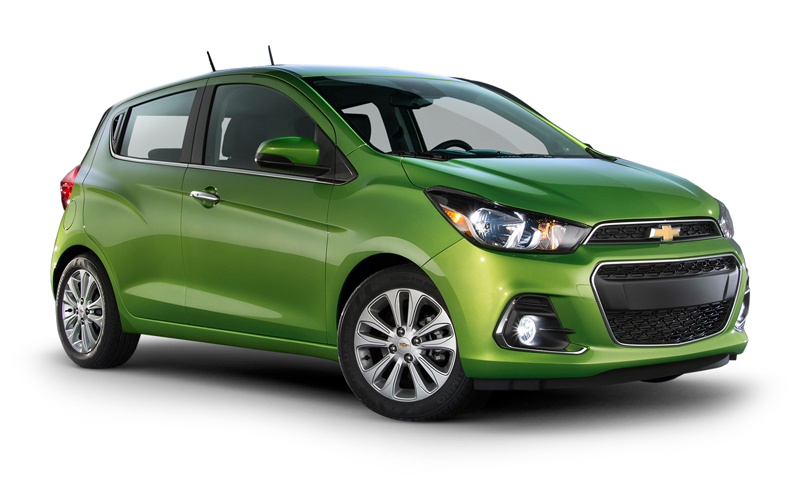 While the Mini Cooper Mk III is already well established in the marketplace, the new Chevy Spark Mk II is only going to get up and running in Q1 2016. In fact, the handover between the old model and the new one resulted in sales falling by 39% in Q4 2015, presumably as consumers interested in the car delayed their purchase until they can get their hands on the new model. While a similar argument could be used to explain Fiat 500‘s dismal performance in Q4 2015 (sales down 47%), it is hard to imagine consumers truly holding their breath (and their wallets) for the facelifted version that’s supposed to hit the market in early 2016. Rather it is a sign that the nine-year-old design is losing out to newer models, including competition from within the family in the form of the 500X Subcompact SUV crossover. Fiat would do well to replace the 500 with a new model, but with none in sight the 2016 facelift looks to stop the bleeding at best. 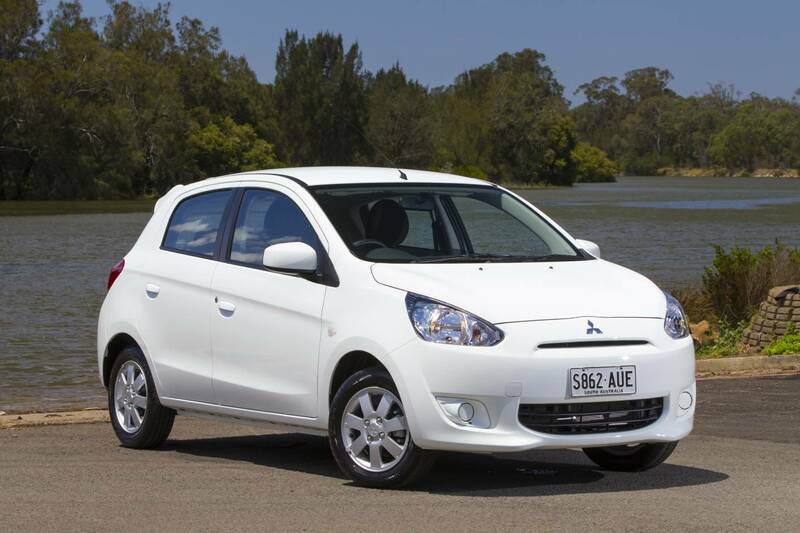 In fact, the little Fiat will probably find it hard to hold onto its third spot in the sales rankings, as the Mitsubishi Mirage continues to confound car enthusiasts and market watchers alike by bringing in more and more sales. In fact, the little Japanese car with all the visual allure of a mildly used bar of soap saw its sales rise by an impressive 29% in 2015, the quickest growth in the whole segment. Although normally an upcoming facelift should be a sign of future bump in sales, there is a feeling that the Mirage’s prospects in 2016 will be fully decided by the same factor that’s played a crucial role in its success so far – a very low price. The fortunes of the final two models in the segment, the Smart ForTwo and Scion iQ, prove once and for all that the great experiment to bring truly small cars to the US has failed. 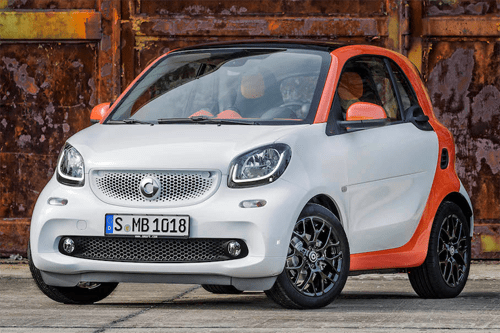 Although the ForTwo was new for 2015 its sales have actually fallen by 28% compared to 2014 – it would have been interesting to see whether the ForFour version would have sold well, had the brand decided to bring it to the US. At the same time, sales of the seven-year-old iQ have pretty much collapsed, and Scion (Toyota) may pull the model from the market altogether in 2016. The Fiat 500 is still the best looking small car,especially the Abarth.Lower it,and WOW it is even better looking. No ForFour for the US, they already said they wouldn’t be selling those over there. And as for the ForTwo, well, i just went to the Smart US site and they’re asking 15K for a base, manual, 4/2 Pure. 18k for a Passion automatic. In good old fashioned internet speak, LOLno. @Tuga, thanks for the insight – I corrected the article to reflect that!